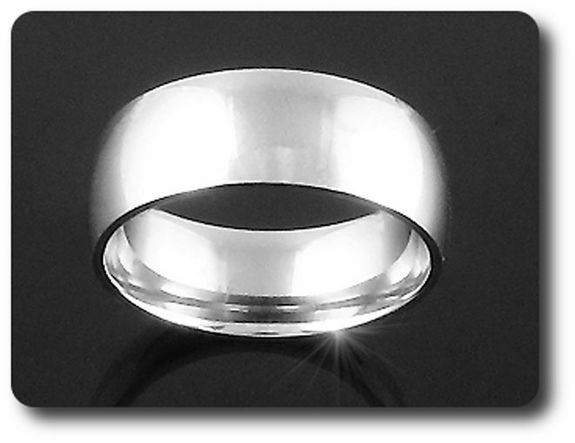 Une sélection de bagues en Acier , de bagues en Plaqué Or pour homme . BAGUE ANNEAU Argent 925 Ref. ILR-1065A81 51.90	€ T.T.C. BAGUE HOMME Acier + 1x2 mm DIAMANT CZ Ref. PD032670A 26.90	€ T.T.C. BAGUE HOMME Acier + 1x2 mm DIAMANT CZ Ref. PD032669A 26.90	€ T.T.C. BAGUE HOMME Acier + 1x8 mm DIAMANT CZ Ref. PD032665A 26.90	€ T.T.C. BAGUE HOMME ANNEAU ACIER Ref. PD032664A 21.90	€ T.T.C. BAGUE HOMME Acier + 1x2 mm DIAMANT CZ Ref. PD032662A 26.90	€ T.T.C. BAGUE HOMME Acier + 1x4 mm DIAMANT CZ Ref. PD032658A 26.90	€ T.T.C. BAGUE HOMME Acier + 1x2 mm DIAMANT CZ Ref. PD032655A 26.90	€ T.T.C. BAGUE HOMME Acier + 1x2 mm DIAMANT CZ Ref. PD032654A 26.90	€ T.T.C. BAGUE HOMME ANNEAU ACIER Ref. PD032652A 21.90	€ T.T.C. BAGUE HOMME Acier + 1x2 mm DIAMANT CZ Ref. PD031005A 26.90	€ T.T.C. BAGUE HOMME Acier + 1x2 mm DIAMANT CZ Ref. PD031003A 26.90	€ T.T.C. BAGUE HOMME Acier + 1x3 mm DIAMANT CZ Ref. PD031000A 26.90	€ T.T.C. BAGUE HOMME Acier + 1x2 mm DIAMANT CZ Ref. PD030999A 26.90	€ T.T.C. BAGUE HOMME Acier + 3x2 mm DIAMANT CZ Ref. PD030991A 26.90	€ T.T.C. BAGUE HOMME MOTIF DOUBLE LIGNE ACIER Ref. PD030990A 21.90	€ T.T.C. BAGUE HOMME Acier + 1x3 mm DIAMANT CZ Ref. PD030989A 26.90	€ T.T.C. BAGUE HOMME ANNEAU ACIER Ref. PD030987A 21.90	€ T.T.C. BAGUE HOMME Acier + 1x2 mm DIAMANT CZ Ref. PD030984A 26.90	€ T.T.C. BAGUE HOMME Acier + 7x2 mm DIAMANT CZ Ref. PD030983A 26.90	€ T.T.C. BAGUE HOMME Acier + 7x2 mm DIAMANT CZ Ref. PD030979A 26.90	€ T.T.C. BAGUE HOMME Acier + 1x2 mm DIAMANT CZ Ref. PD030978A 26.90	€ T.T.C. BAGUE HOMME MOTIF GRAVE ACIER Ref. PD030977A 21.90	€ T.T.C. BAGUE HOMME Acier + 1x2 mm DIAMANT CZ Ref. PD030976A 26.90	€ T.T.C. BAGUE HOMME Acier + 1x2 mm DIAMANT CZ Ref. PD030975A 26.90	€ T.T.C. BAGUE HOMME Acier + 1x3 mm DIAMANT CZ Ref. PD030953A 26.90	€ T.T.C. BAGUE HOMME Acier + 1x3 mm DIAMANT CZ Ref. PD030951A 26.90	€ T.T.C. BAGUE HOMME ACIER + 3x3-2mm DIAMANT CZ Ref. PD030942A 26.90	€ T.T.C. BAGUE HOMME LIGNE NOIRE ACIER Ref. PD030941A 21.90	€ T.T.C. BAGUE HOMME Acier + 1x3 mm DIAMANT CZ Ref. PD030940A 26.90	€ T.T.C. BAGUE HOMME Acier + 1x3 mm DIAMANT CZ Ref. PD030938A 26.90	€ T.T.C. BAGUE HOMME Acier + 1x2 mm DIAMANT CZ Ref. PD030937A 21.90	€ T.T.C. BAGUE HOMME MOTIF VINTAGE ACIER AVEC ANNEAU ROTATIF Ref. PD030935A 21.90	€ T.T.C. BAGUE HOMME Acier + 1x2 mm DIAMANT CZ Ref. PD030934A 26.90	€ T.T.C. BAGUE HOMME Acier + 1x2 mm DIAMANT CZ Ref. PD030933A 26.90	€ T.T.C. BAGUE HOMME MOTIF VINTAGE ACIER Ref. PD030930A 21.90	€ T.T.C. BAGUE HOMME Acier + 1x2 mm DIAMANT CZ Ref. PD030927A 26.90	€ T.T.C. BAGUE HOMME Acier + 1x2 mm DIAMANT CZ Ref. PD030907A 26.90	€ T.T.C. BAGUE HOMME DOUBLE LIGNE ACIER Ref. PD030906A 21.90	€ T.T.C. BAGUE HOMME DOUBLE LIGNE NOIRE ACIER Ref. PD030901A 21.90	€ T.T.C.